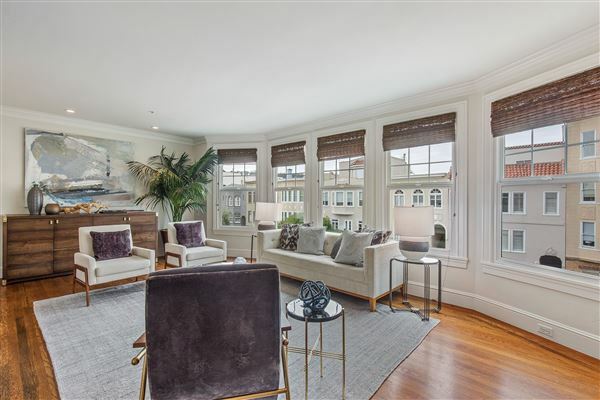 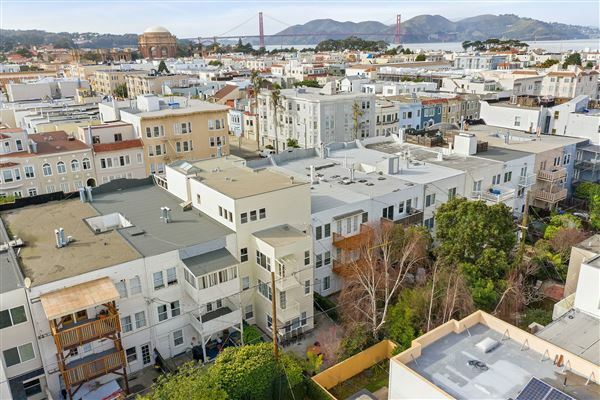 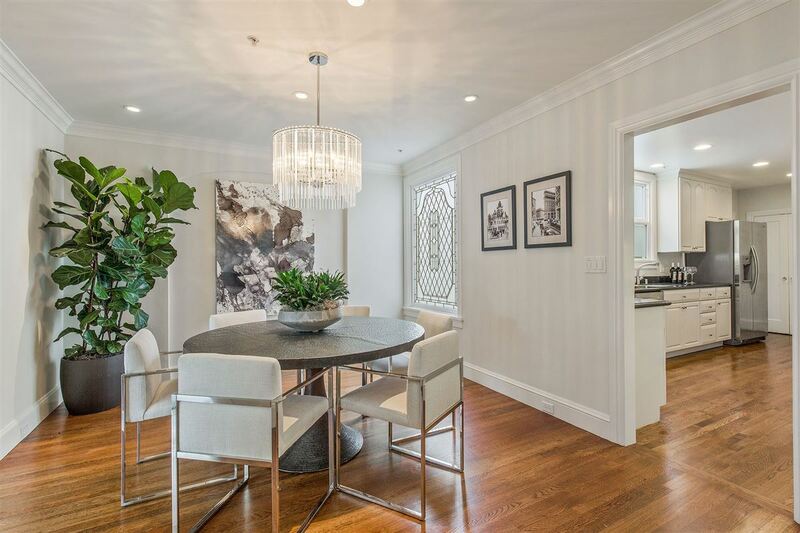 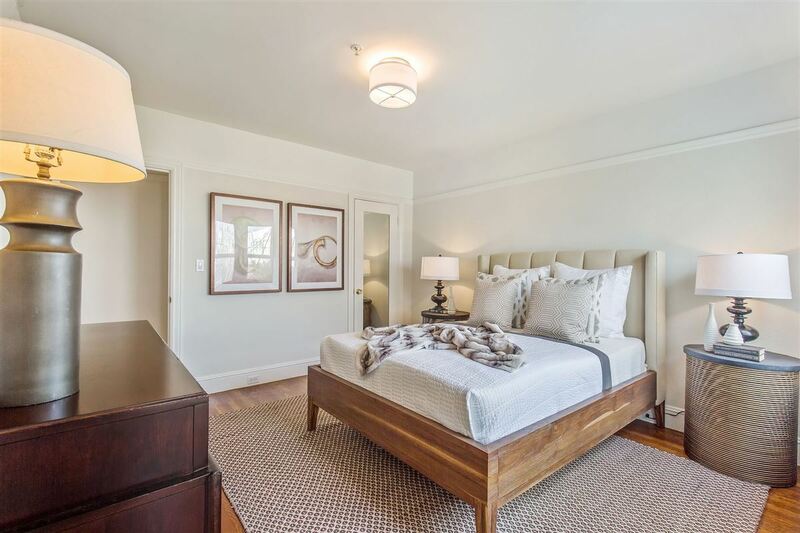 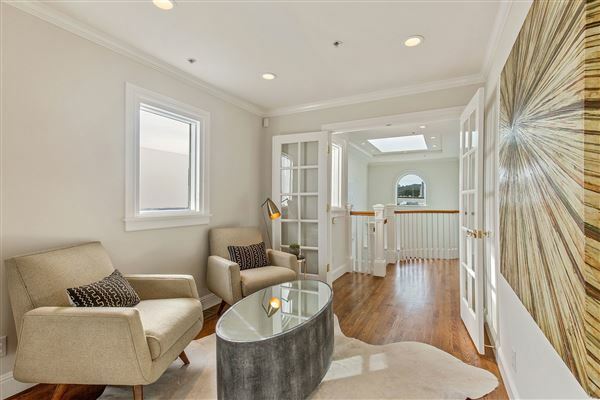 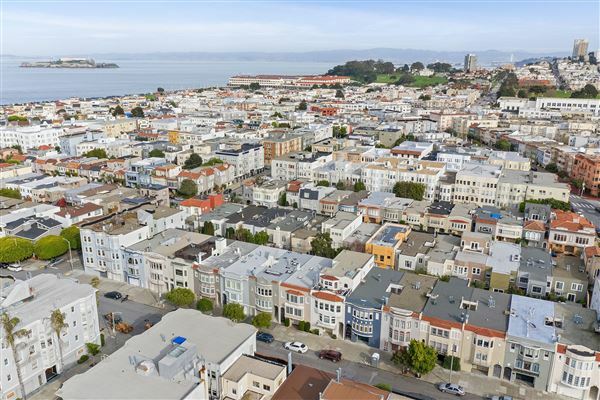 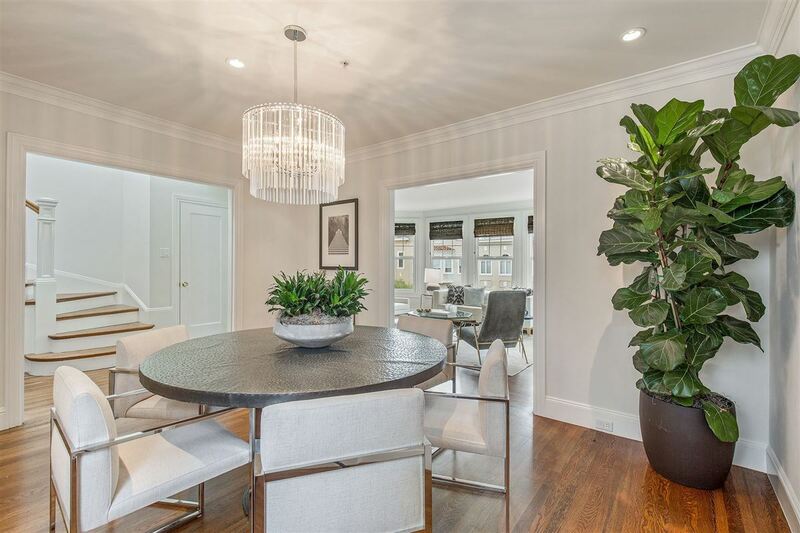 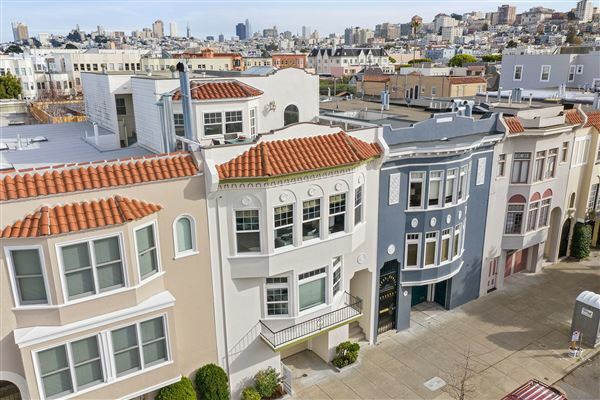 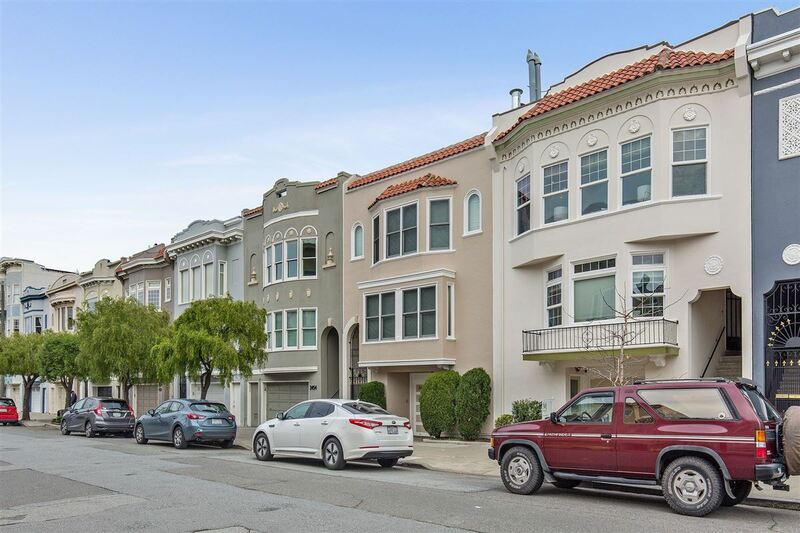 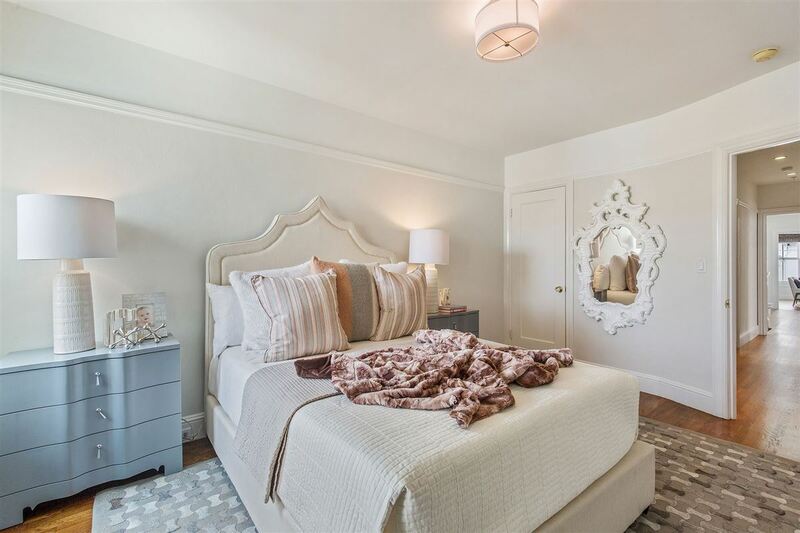 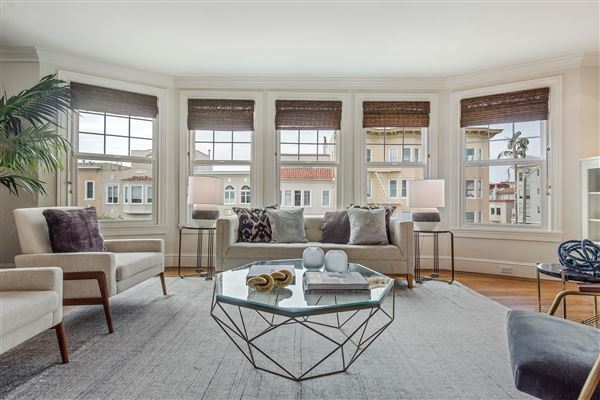 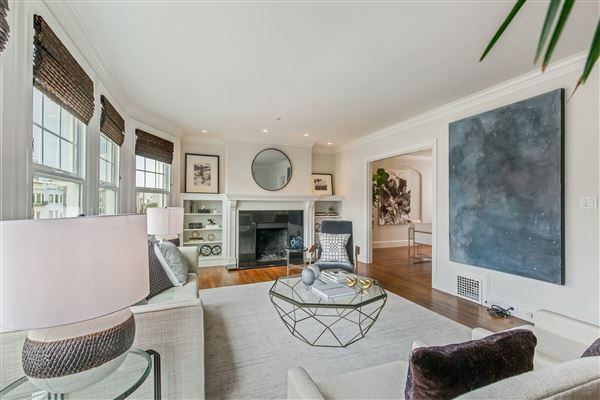 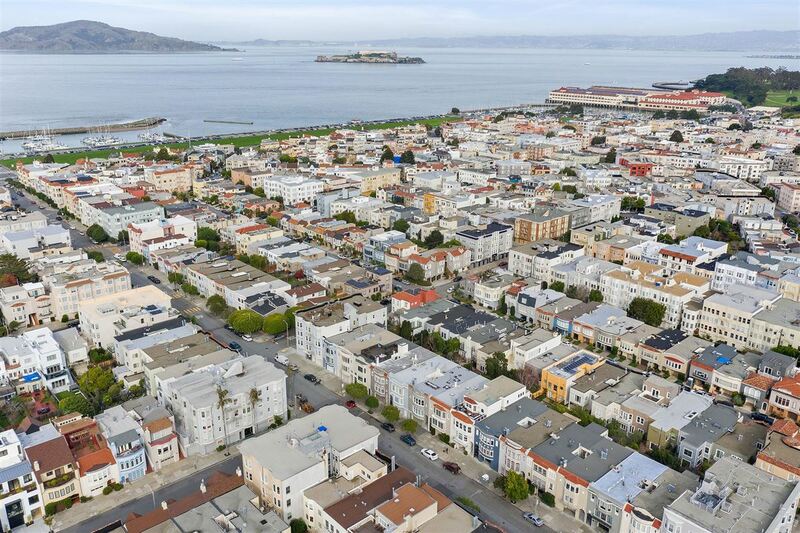 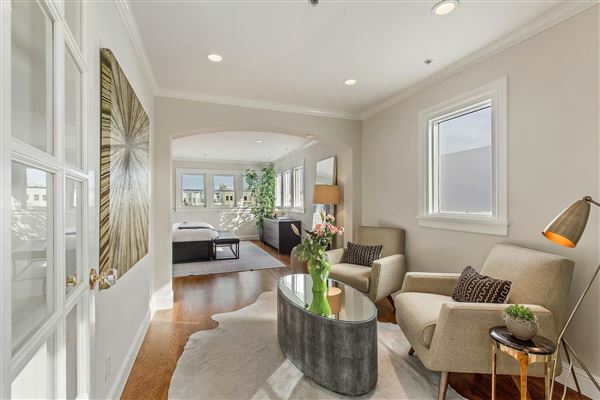 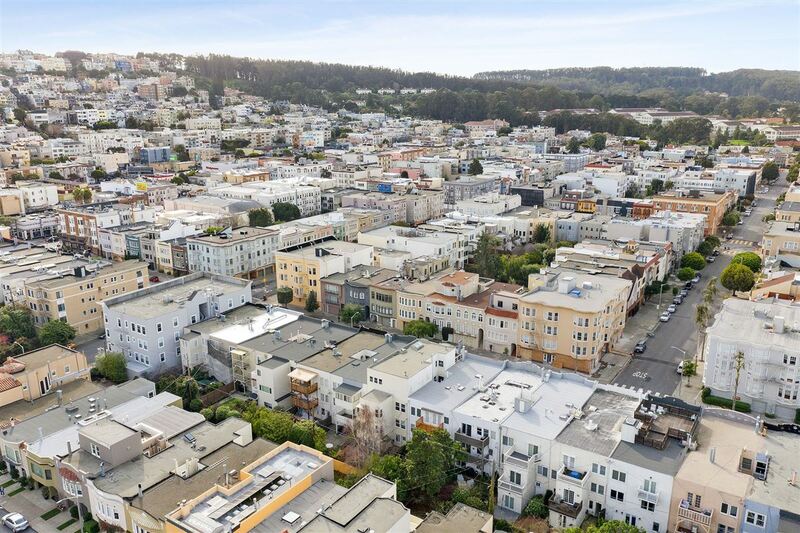 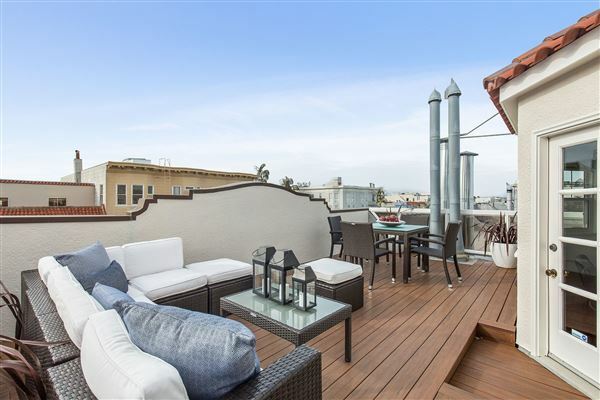 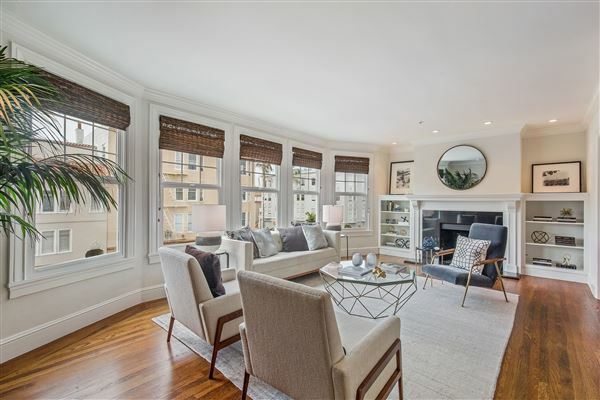 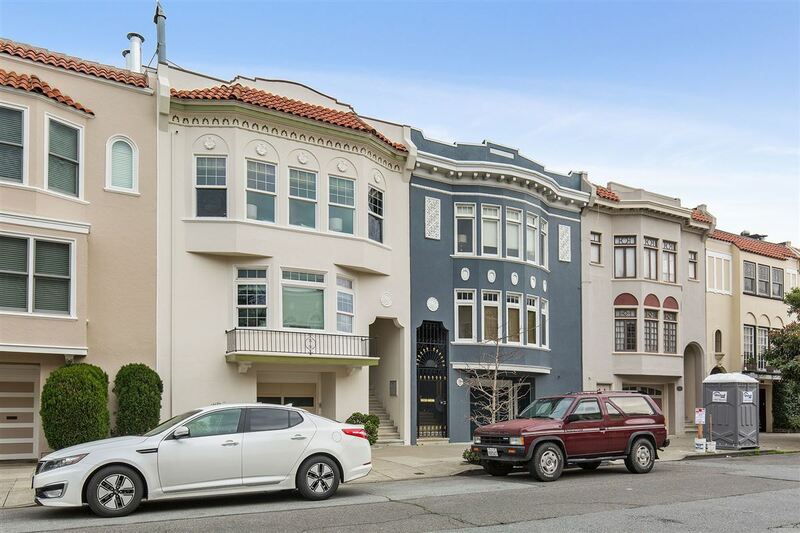 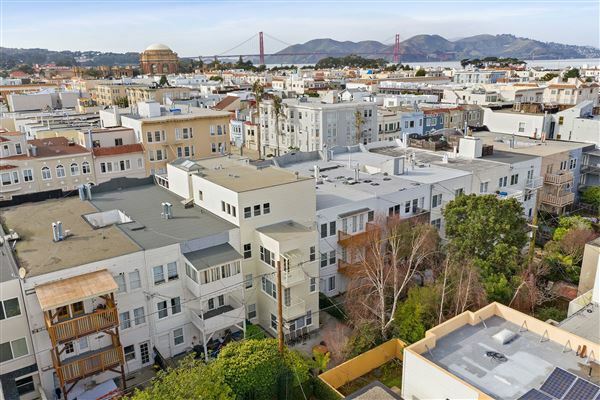 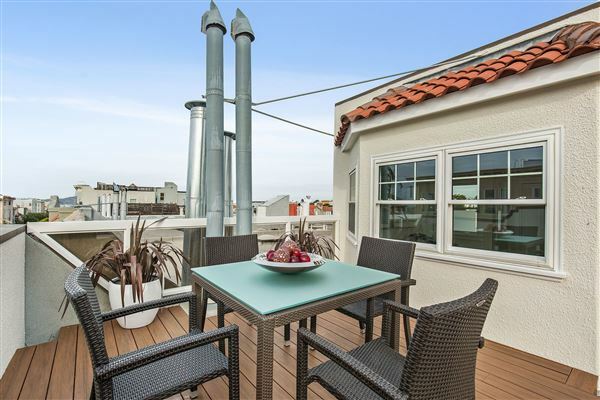 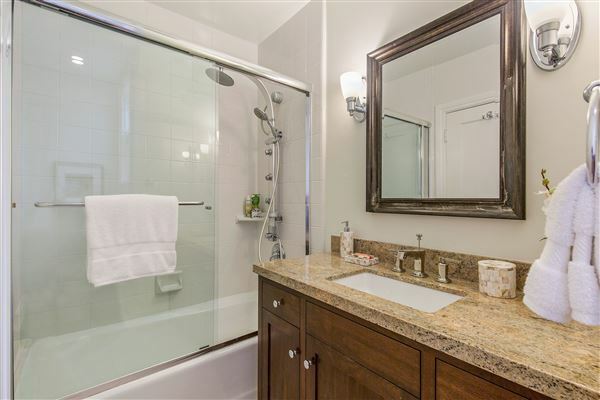 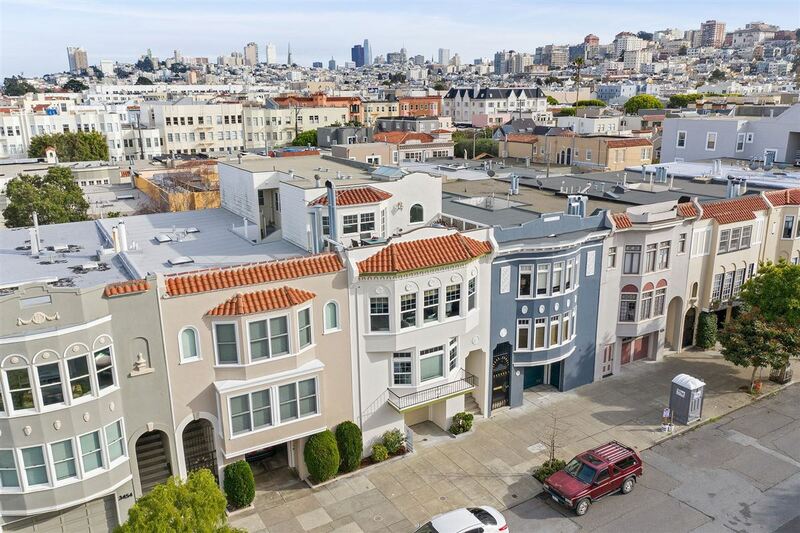 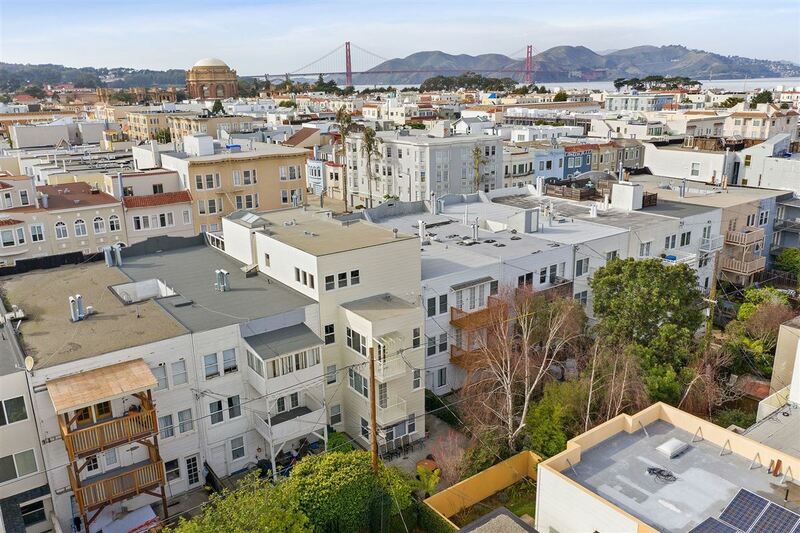 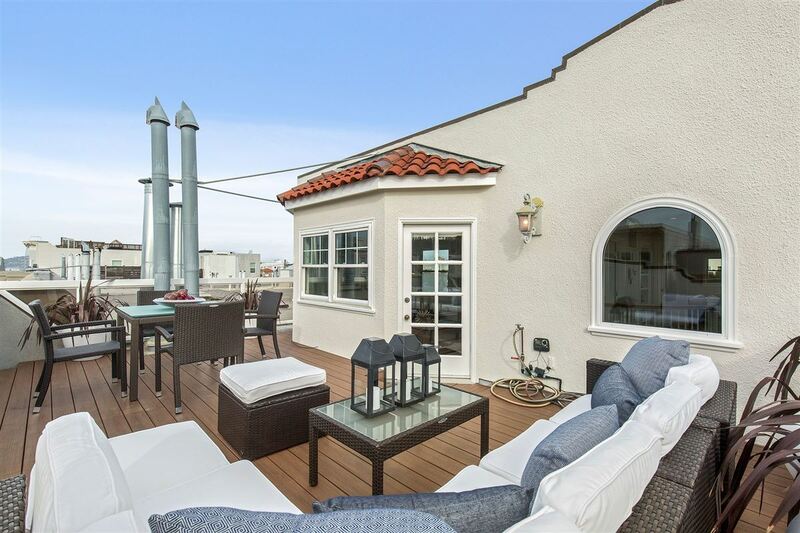 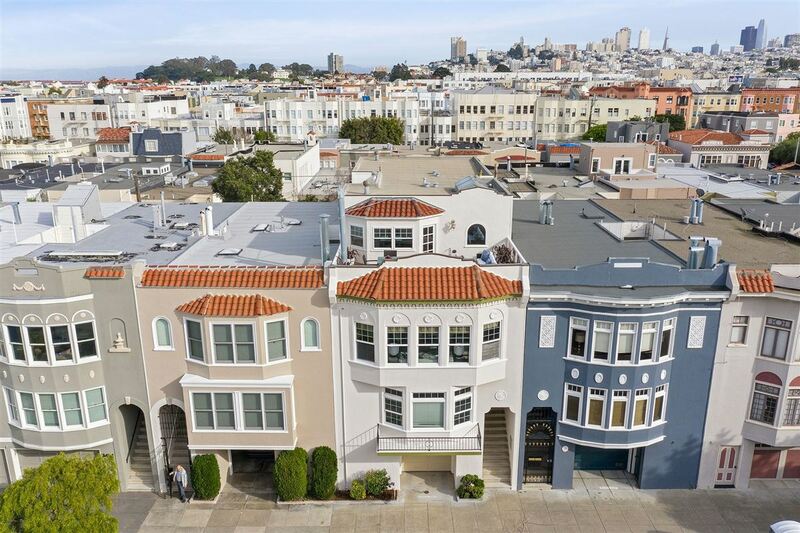 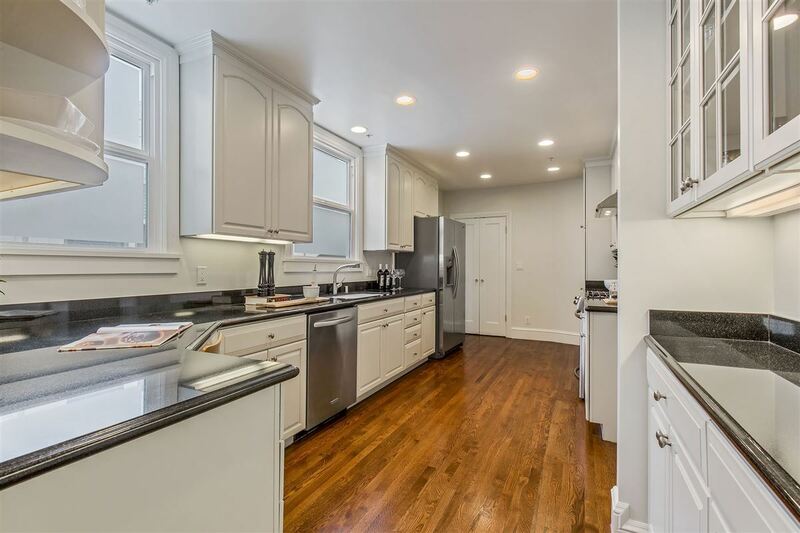 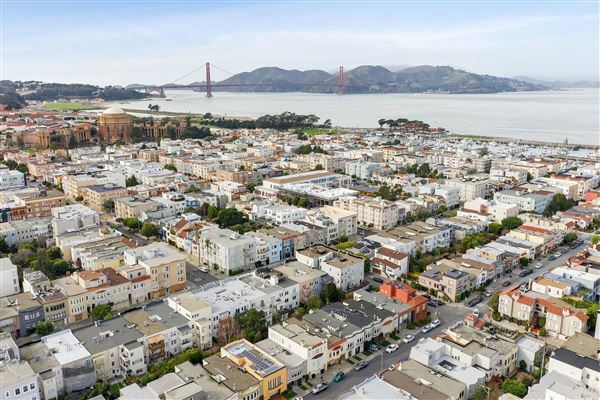 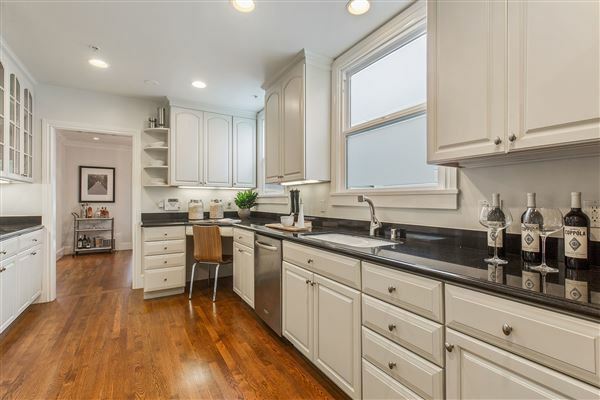 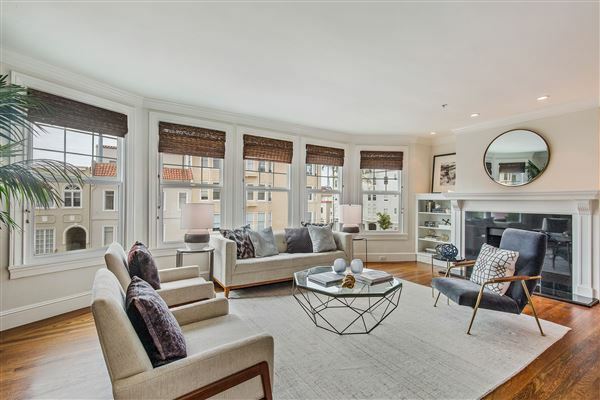 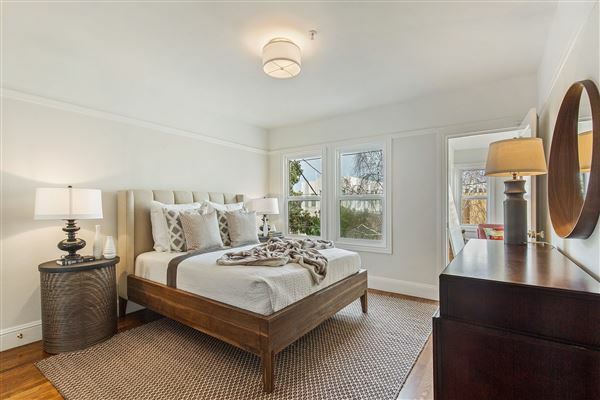 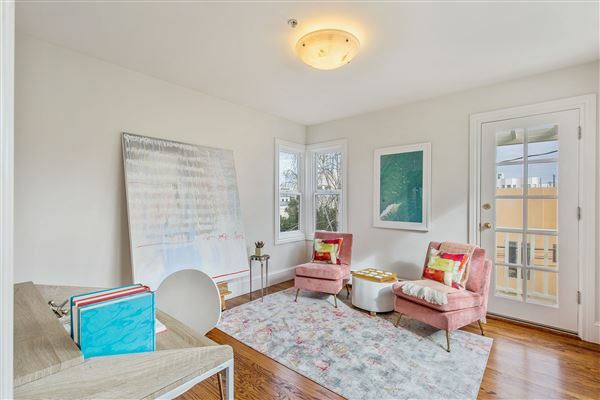 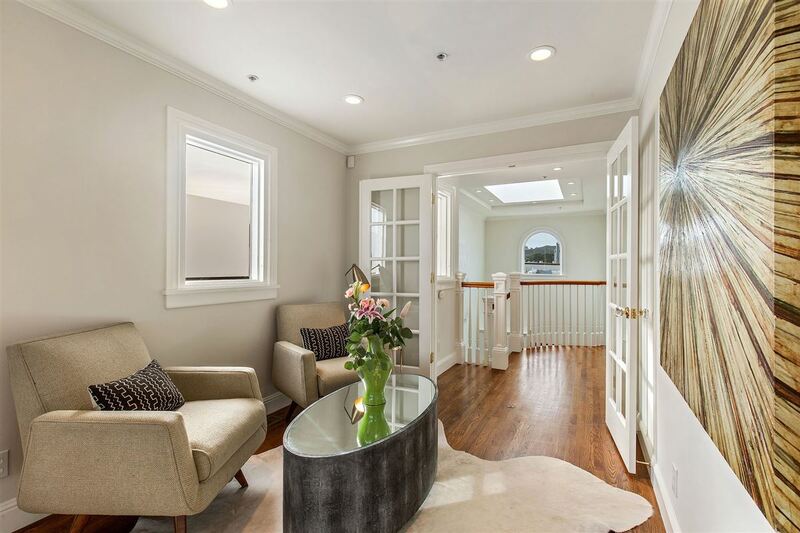 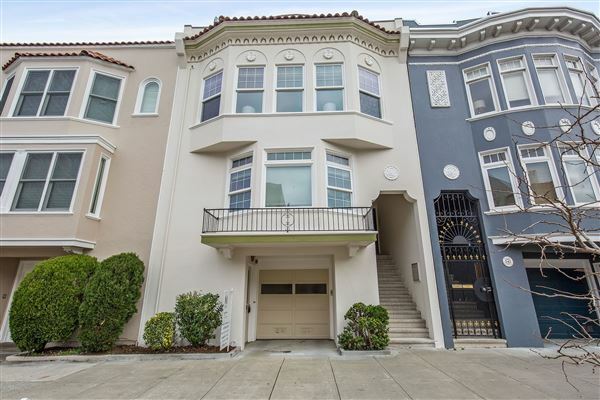 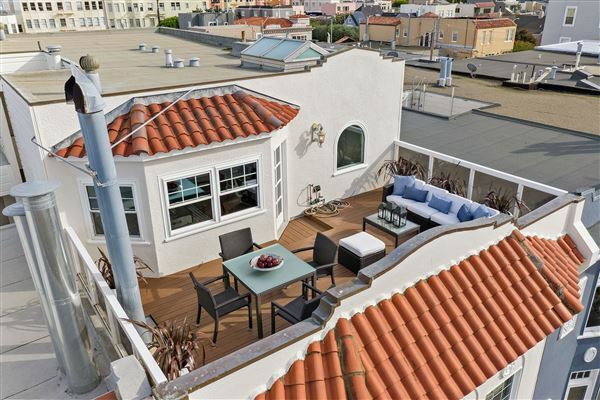 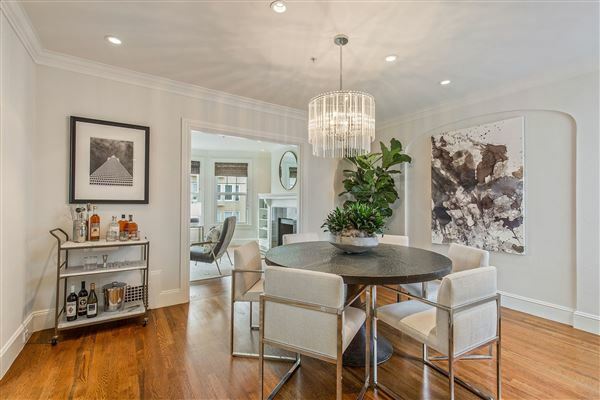 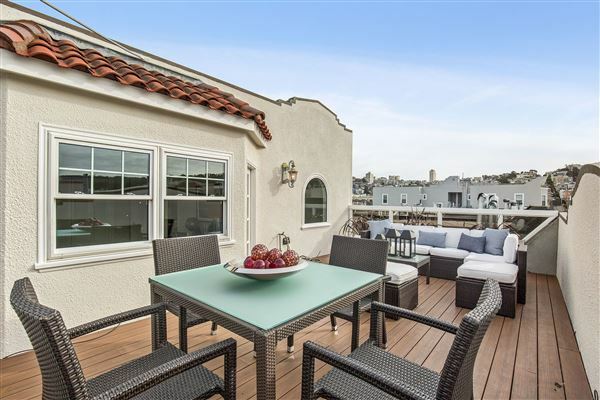 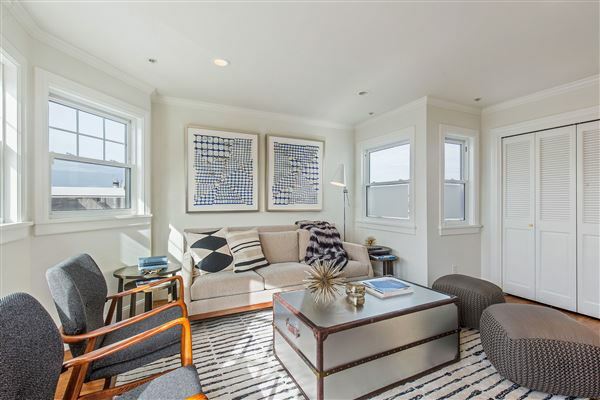 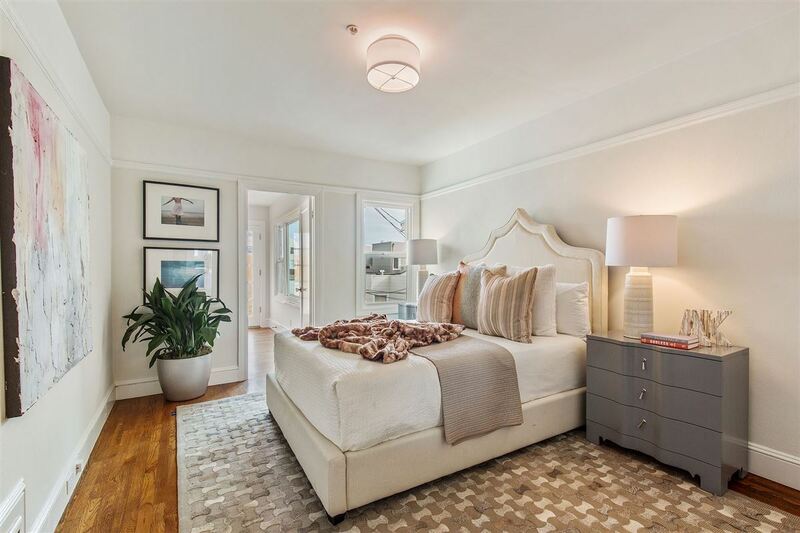 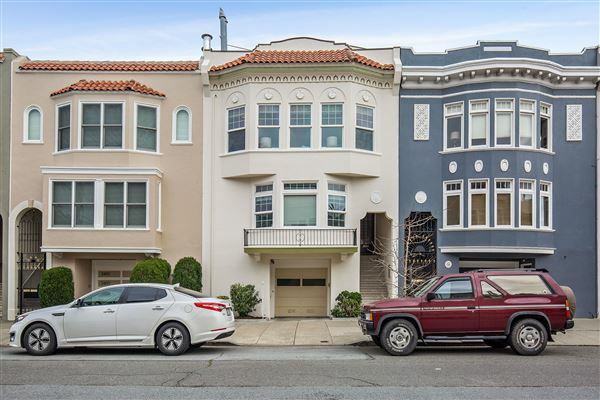 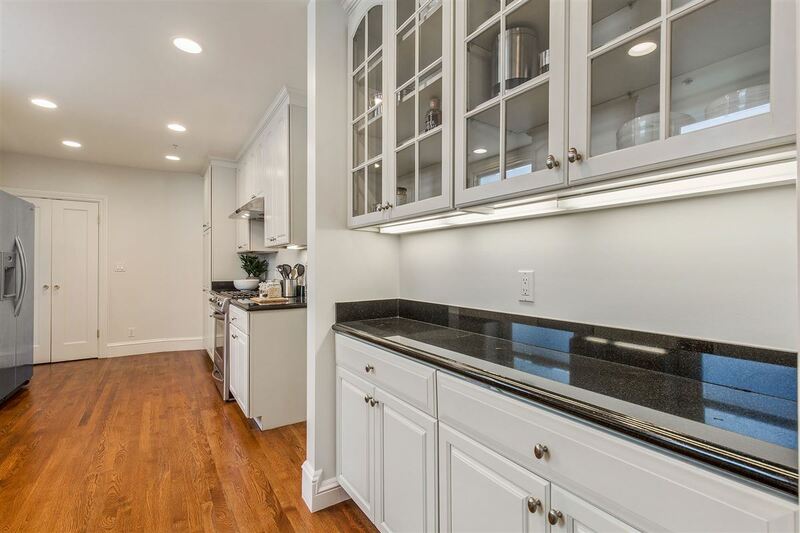 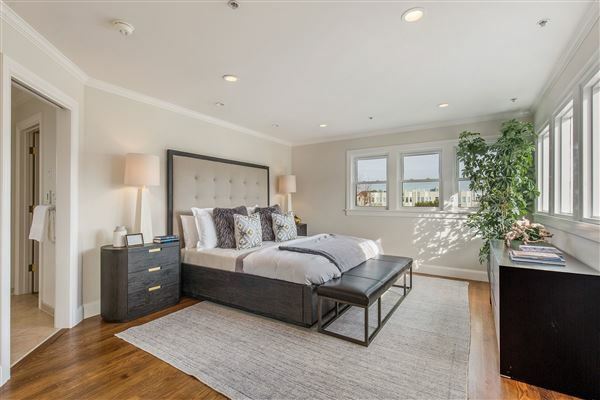 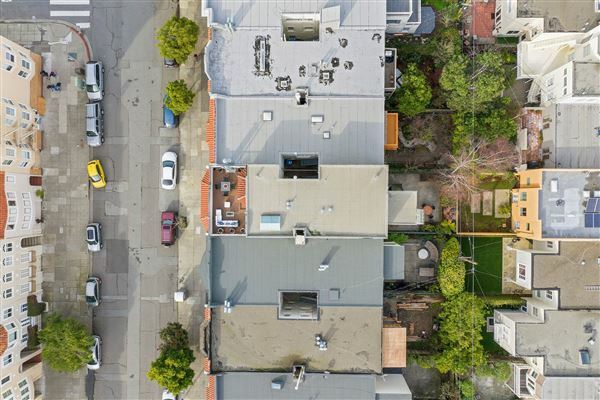 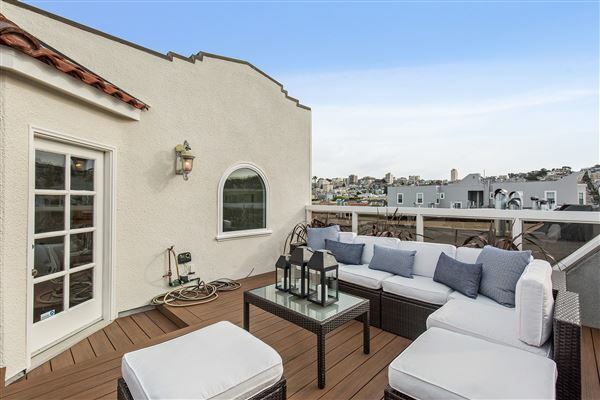 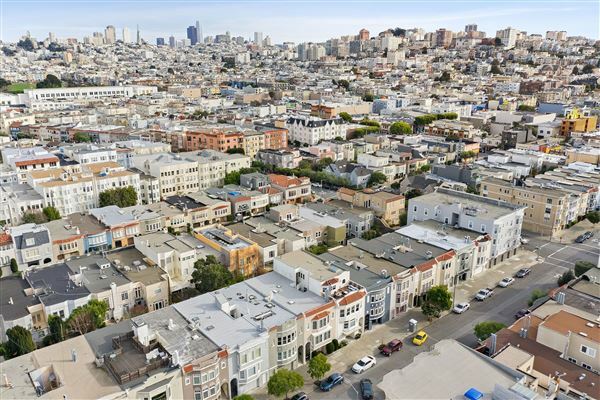 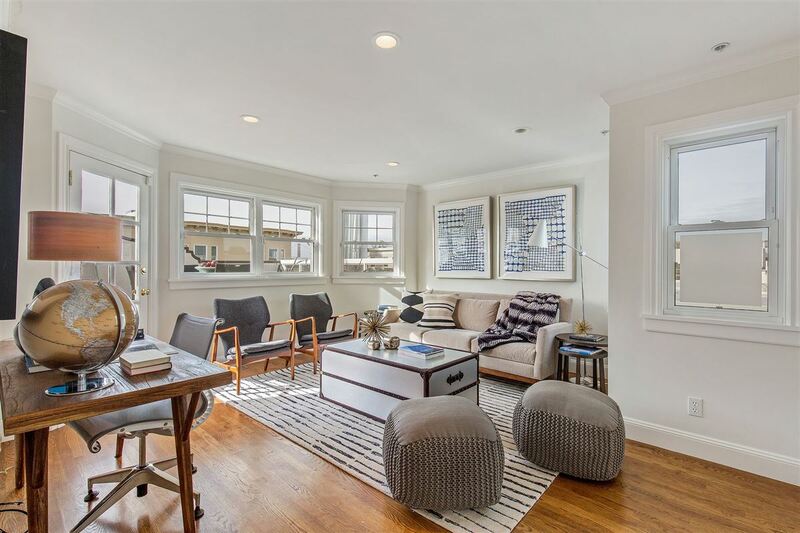 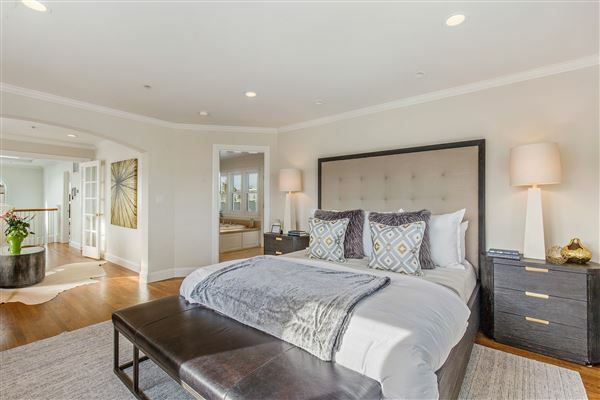 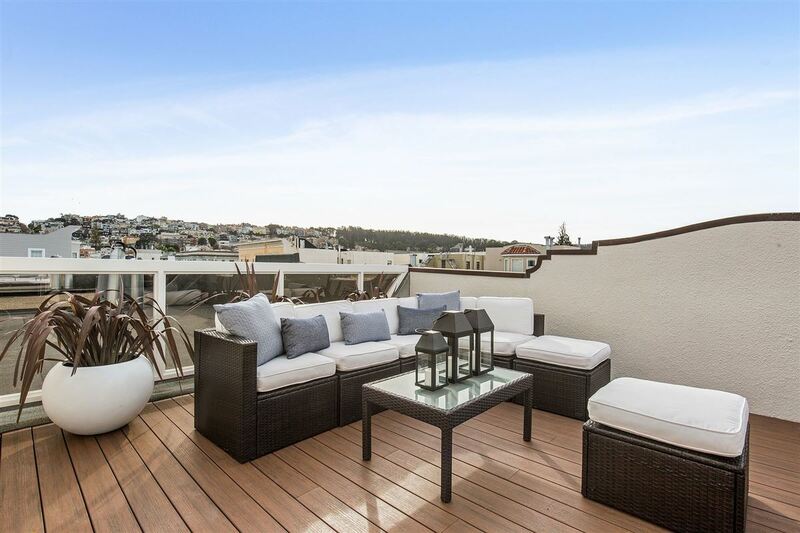 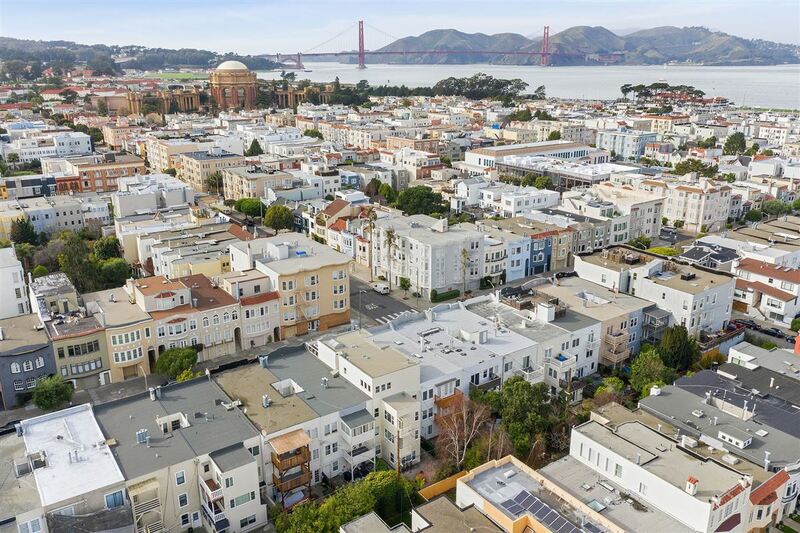 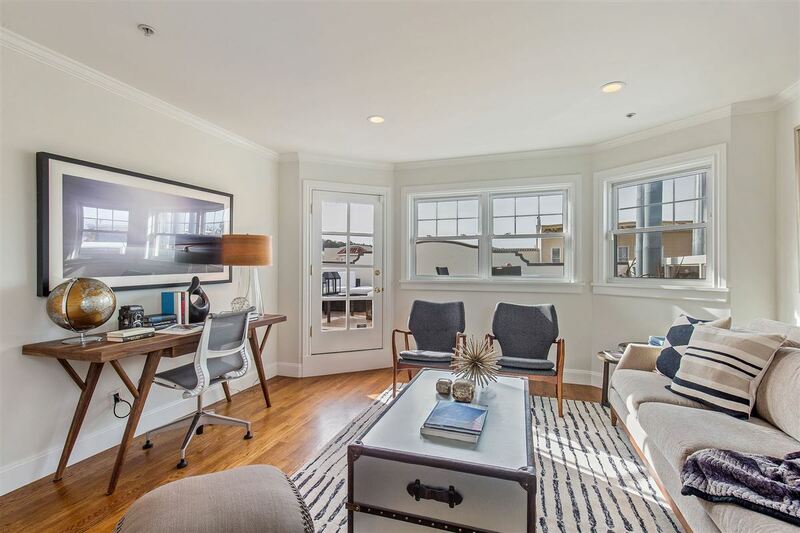 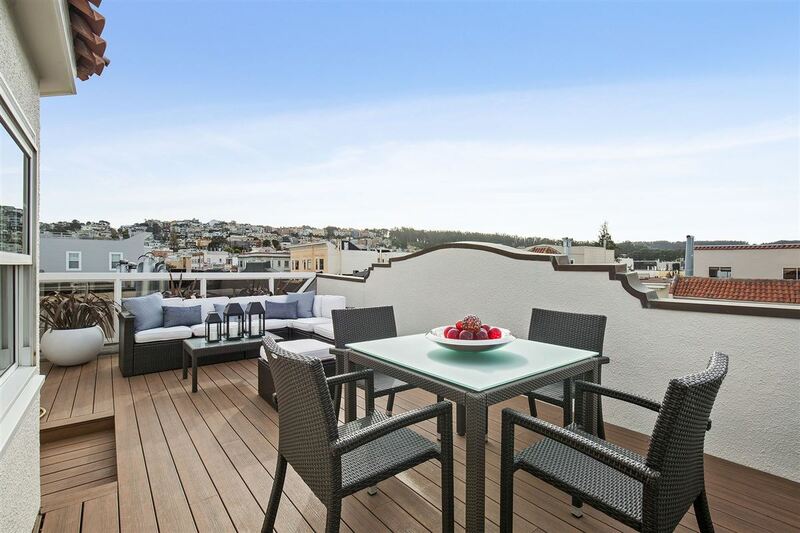 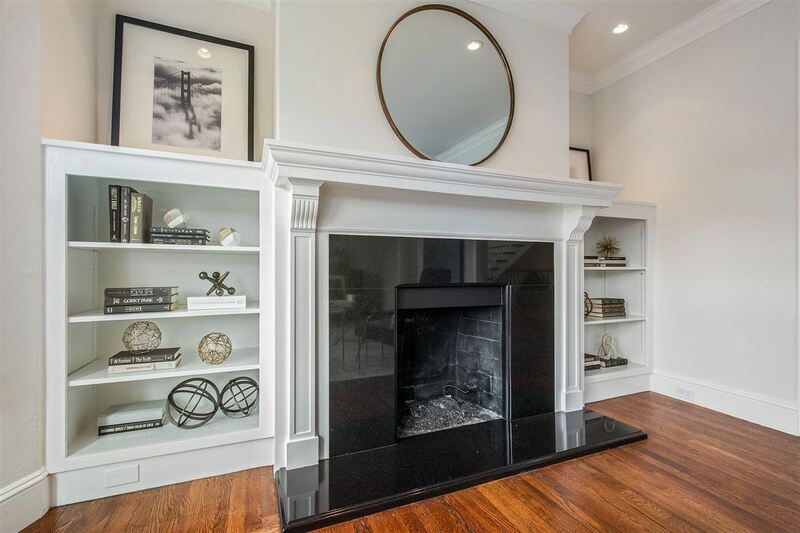 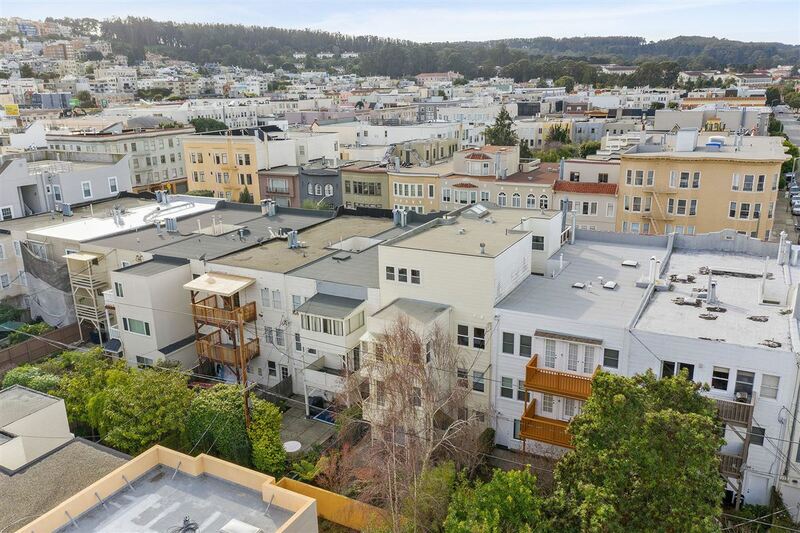 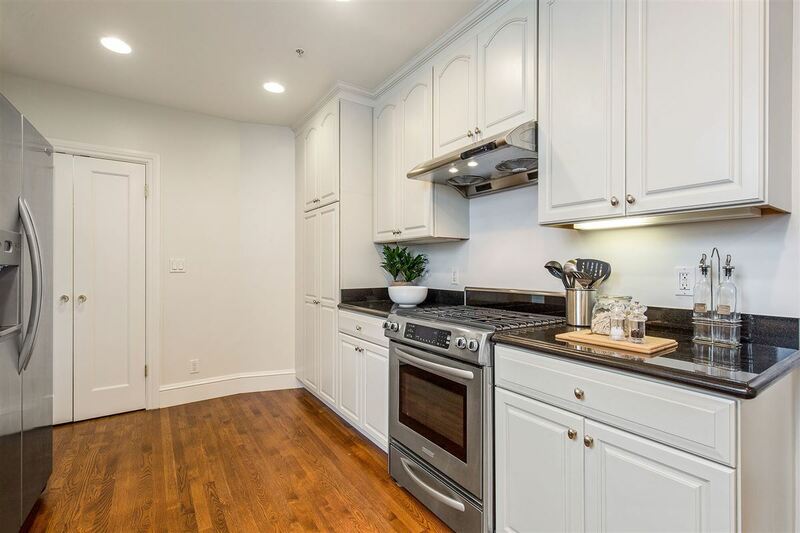 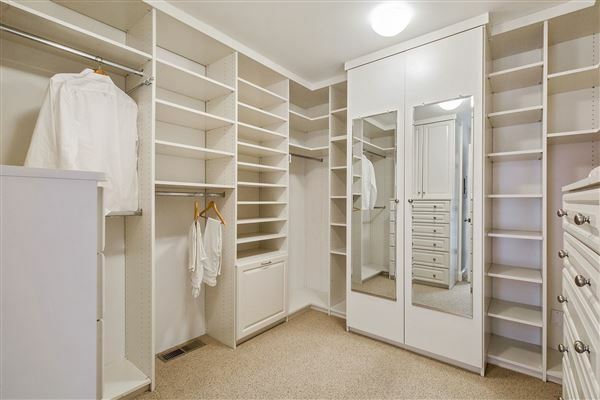 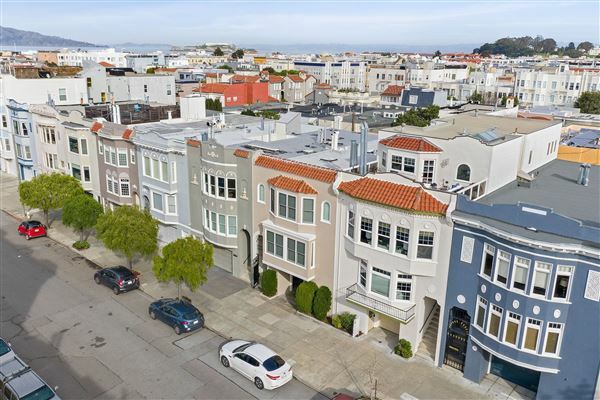 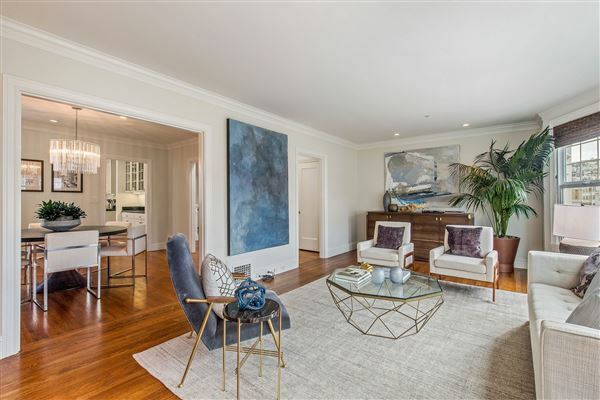 This beautiful four bed, two bath condo is located on one of San Francisco's premier streets in the heart of the Marina district, mere steps from Crissy Field, fine restaurants, and unique boutiques. 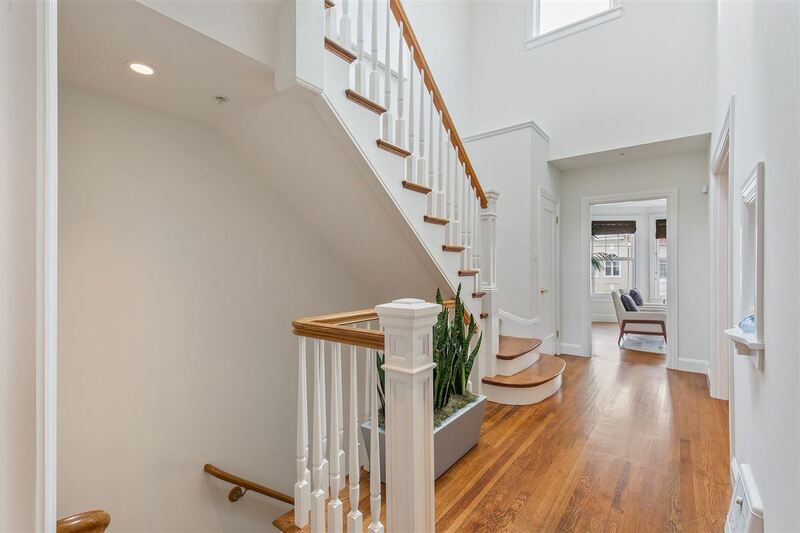 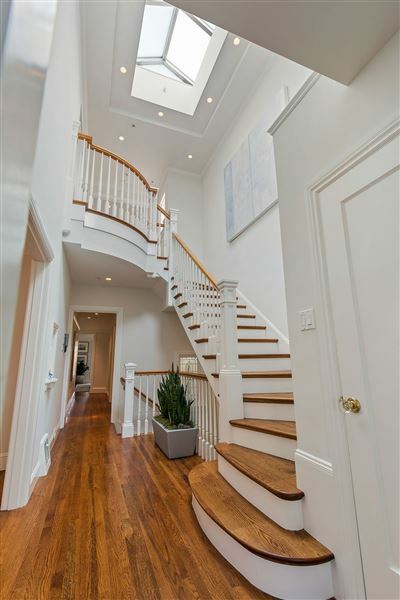 Upon entering the prominent two-story foyer, complete with skylight and Juliet's balcony, this alluring home draws you to stay. 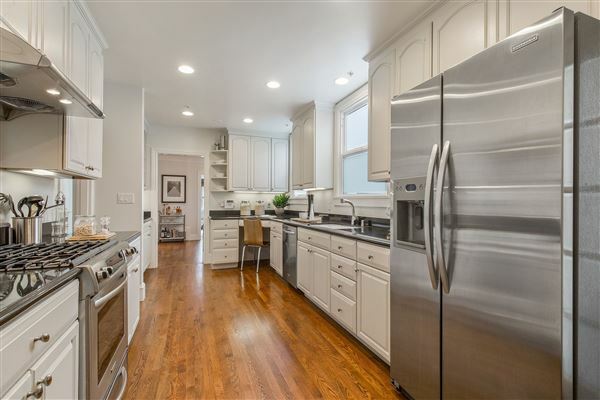 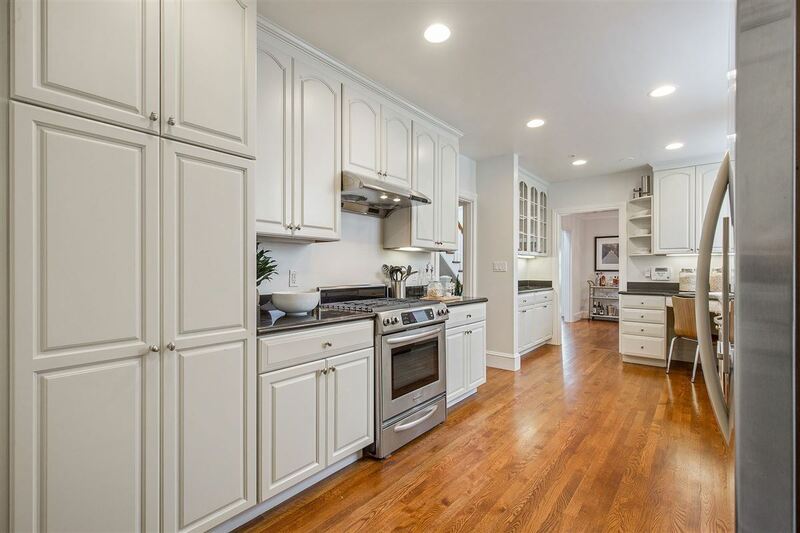 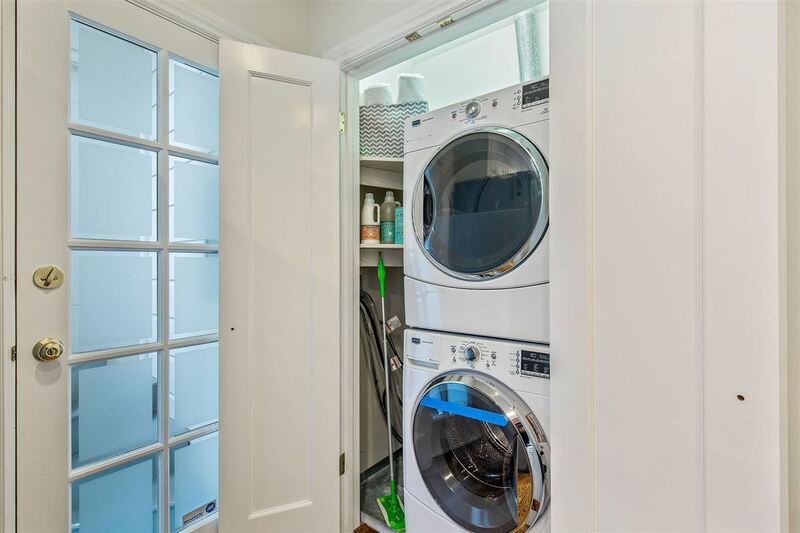 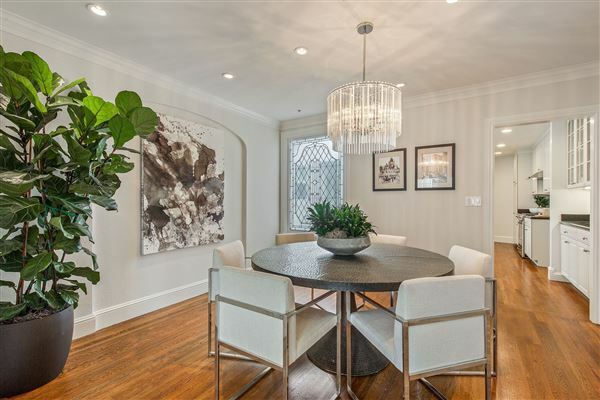 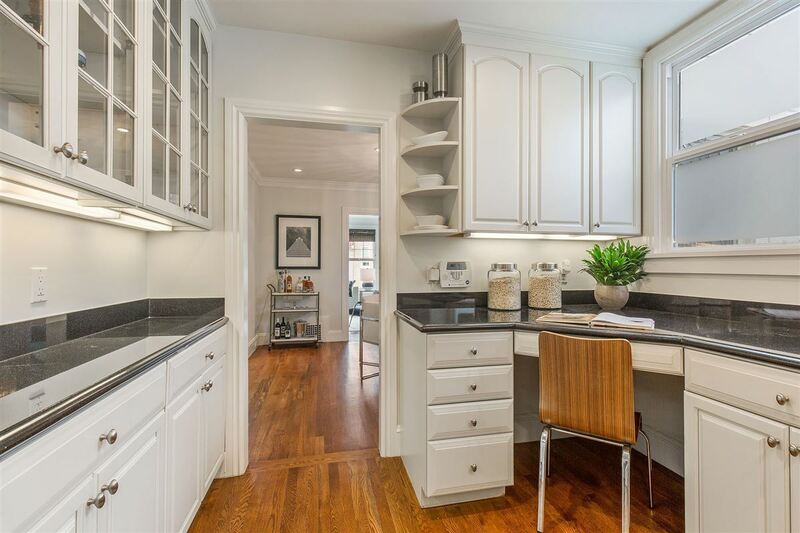 The main level features a tastefully updated kitchen with beautiful granite counters and stainless steel appliances which leads to the formal dining room and on to an elegant living room with a stunning fireplace and complimentary built-in book shelves. 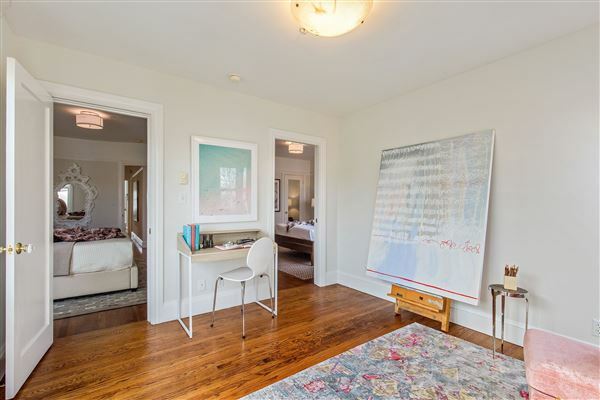 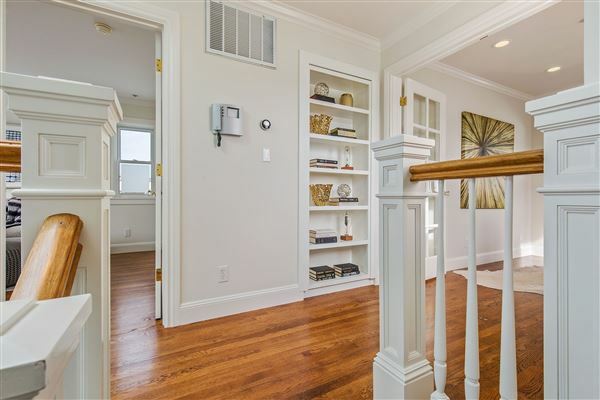 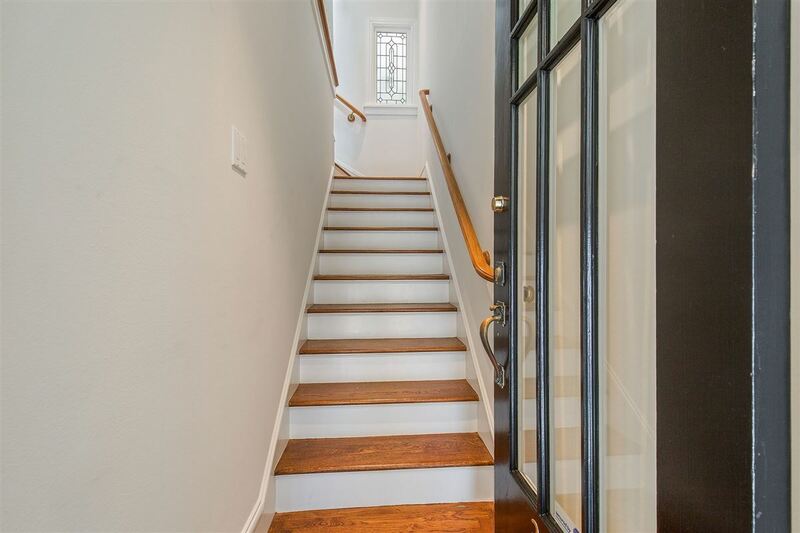 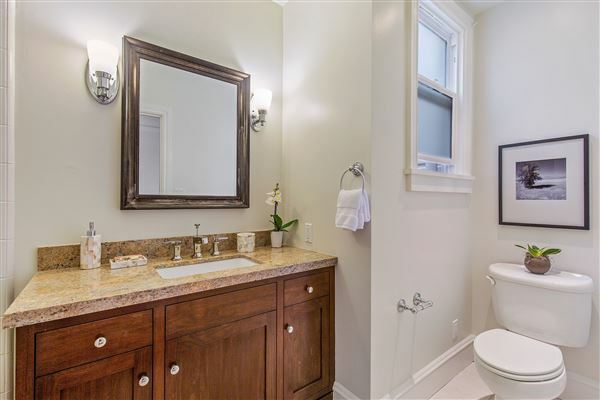 Down the hallway, you'll find a full bathroom and two spacious bedrooms which open to an adjoining sunroom with a gorgeous view of the city. 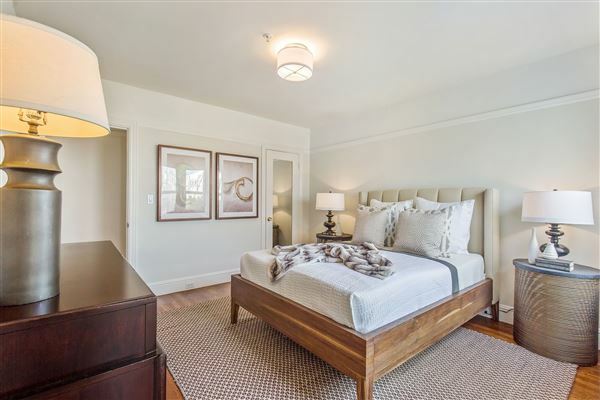 Located on the upper level, a luxurious master suite features a spacious walk-in closet and a master bathroom with a Jacuzzi bath, shower and his & hers sinks. 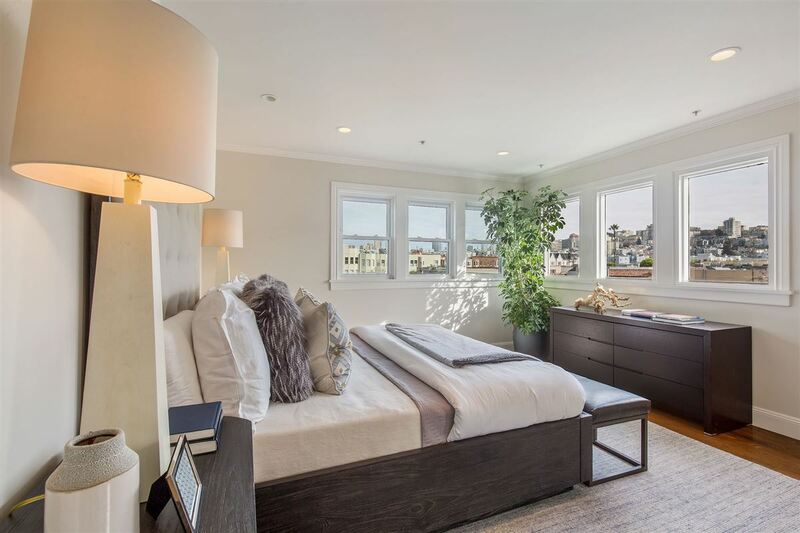 The fourth bedroom opens to the roof deck and offers multidimensional potential with a glimpse of the Golden Gate Bridge!